Applying for a visa to Australia can help you get better opportunities materialized in the best way. In the Kangaroo Land, there are different sector facing bottlenecks, and with the demand for the skilled workers rising, it is possibly the best time when skilled migrants can get the maximum benefits, by moving to the hotspot. Applying for a visa to Australia can best work out when you have the best immigration agent there to help you understand all the intricacies. In this piece, however, you will come to know about the ways with which you can instantly take the immigration. With few of the visas explained in details, you can easily pick the best available visa class under which you can make a move to your preferred destination. Under the investor immigration, you can move under the business innovation. The time for processing the visa may take at maximum 14 months with 75% visas processed. On the other hand, for hitting the 90% processing ratio, on an average 19 months may be needed. Business innovation Stream: it is basically for the people who are inclined towards taking an existing business or develop and manage the new business. Investor Stream: It earmarks the stipulated numbers under which you can move. With 1.5 million spent in the Australian state and territory, you can claim to move under this visa. Significant Investor Stream: To get to move to Oz under it, 5 million Australian Dollars is all that is required to take your possibilities to the next level. Premium Investor Stream: With 15 million Australian Dollars in your pocket, you can undertake the immigration to the overseas hotspot with special qualities. It is simple and promising to move with the visa. Entrepreneur Stream: On an average, an investment of 200000 Australian Dollars with the intent of commercializing a product or a service can help you get nominated by the state or territory. Different sectors have been recognized in Australia facing acute labor shortage. With the Skilled Immigration Visa, you can consult with your consultant and help fix the mess with your skills and expertise. Under the Skilled Migration Visa, it is simpler and promising to even claim the cherished Permanent Residency (PR) and citizenship in the long run (Yes, it is possible!). Top professionals–who are well trained in all forms of visas–can help and guide you move. Always look forward to experience, communication, specialization, and terms and policies of the immigration agents to help you get along, and find the best solution provider in the business. If you are really serious about successfully applying for a visa to Australia, sign-up a professional only after you are 100% sure that he is the right person for you. Summary: Applying for a visa to Australia can help you easily get the best opportunities but you should know about the different visas which can streamline the movement. Previous Post: Applying For a Visa to Australia? Check The Different Options First! 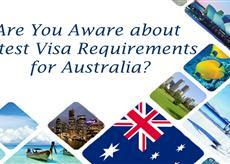 Next Post: Are You Interested in Applying for Australian Skilled Visa? How About Choosing Regional (Subcategory 887) Visa?